WeatherThe itinerary may be delayed should a thunder storm occur. What to WearComfortable Clothing; shorts and a T-shirt Sunhat Jumper and warm clothing for the evening during cooler winter months Suitable shoes that can get wet Life jackets are provided and must be worn at all times while on the river. Guests or SpectatorsDue to the nature of the activity, visitors not partaking in the canoeing activity are unable to accompany the group. Transport to the launch site from local Livingstone hotels is included, after the activity, guests will be transported back to their accommodation. 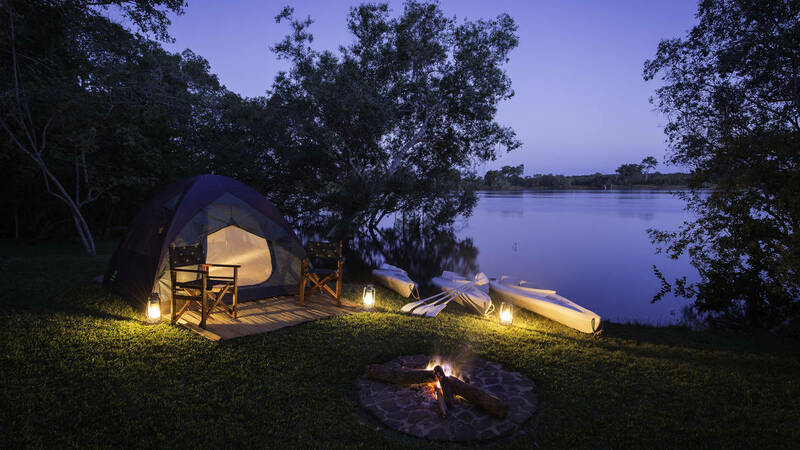 MULTI DAY CANOE SAFARI : A full day and night quest on the Zambezi, stopping to explore islands and enjoy amazing game viewing, an activity which can only be surpassed by a night camping under the stars. Day One starts at 0800, and Day Two finishes at 11h00.